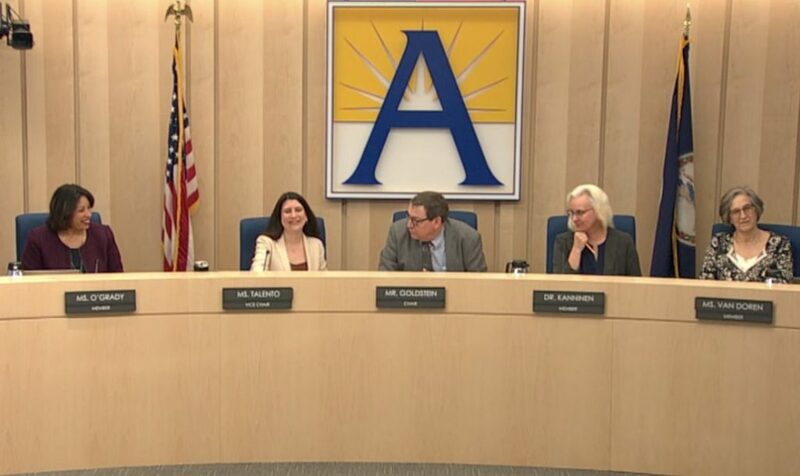 (Updated at 10 a.m.) Arlington schools will likely face class size increases and could see some staff layoffs next year under terms laid out in Superintendent Patrick Murphy’s proposed budget for the new fiscal year. Murphy delivered his first draft of a new spending plan for fiscal year 2020 to the School Board last night (Thursday), arguing that even the tax increases proposed by the County Board won’t be enough to help the school system avoid some spending cuts. The school system is preparing to open three new schools next year to cope with persistently rising enrollment levels, which Murphy expects will create another challenging budget year for county schools. Much like the county government’s own financial picture, sketched out in earnest by County Manager Mark Schwartz late last week, Arlington Public Schools’ budget picture is still a bit more promising than it appeared this fall. School officials initially warned that they could be facing a $43 million budget gap next year, a deficit that Murphy says could’ve been the largest one for APS in the last 30 years, if not the school system’s history. However, rising real estate assessments filled county coffers a bit more than officials anticipated, easing some concerns. And Murphy was glad to see, too, that Schwartz proposed 1.5-cent real estate tax increase largely designed to meet school needs, and the superintendent built his budget using that increase as a base. But even if the County Board approves that tax hike, Murphy says the school system will face cuts. He built a series of spending trims into his plans, most notably the reduction of 23 staff positions, bumping up class sizes slightly. Plans call for grades four through five seeing the largest increase of an estimated one student per class. Middle schools will see a .75 pupil per class increase, and high schools will see a .5 student per class increase. The School Board narrowly avoided that outcome last year, thanks largely to some one-time funding from the county. But Murphy says he fully expects the county’s own money troubles, driven by a still-high office vacancy rate and rising Metro expenses, means that the school system might not be so lucky this time around. The proposed cuts total about $10.1 million in all. That will include moving $5.28 million in one-time money to cover construction and maintenance funding, rather than using ongoing funds. Murphy says he may need to make another $8.9 million in cuts to balance the budget, if the County Board doesn’t approve a tax increase over and above Schwartz’s proposal. He did not say, however, just how of large of a tax hike would meet the school system’s needs. The Board signed off on advertising a 2.75-cent increase last weekend, setting the ceiling for any potential tax rate it may adopt throughout the budget process. Officials can always lower the rate beyond the one advertised, but can’t raise it. Board members agreed to that higher rate largely over concerns that schools would need more cash, and Murphy says those concerns were well founded. Without more cash from the county, Murphy expects that cuts to APS central office staff would be necessary, in addition to some transportation and benefit changes, the introduction of new and increased fees and delays to student support programs. “I hope we don’t have to go there,” Murphy said. And should the Board decline to raise taxes at all, rejecting Schwartz’s proposed increase, Murphy says he’ll need to make an additional $11.1 in cuts, prompting even more layoffs. However, he said he’s “optimistic” that the Board will avoid that outcome. Depending on the county’s budget, Murphy also warned that the school system could tinker with its plans for bumping up employee pay rates this year. “It’s a competitive environment out there,” Murphy said. 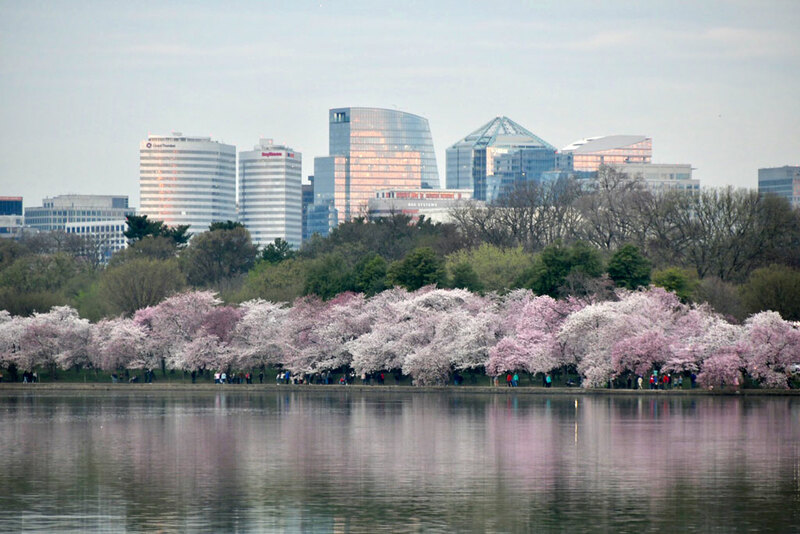 Those changes will cost APS $12.9 million in all, though Murphy cautioned that “whether we build in that direction this year, or build there in the future” will be dependent on how much money the county sends the school system. One budget line that will remain unchanged, Murphy says, is the $10.1 million the school system will spend to afford both one-time and ongoing costs associated with opening three new schools next year and repurposing two others. Alice West Fleet Elementary, Dororthy Hamm Middle and The Heights Building (housing the H-B Woodlawn and Stratford programs) will all open next year. APS will also move the Montessori program currently at Drew Model School into its own building (formerly Patrick Henry Elementary) and convert Drew into a full neighborhood school. APS will also need to keep up with an expected enrollment bump of about 1,059 students next year, roughly the same level of enrollment growth the school system has seen over the last decade. That will require about $8.73 million in spending to manage, and the addition of 83 employees. The County and School Boards will now spend the next several weeks debating their competing budgets. The School Board will finalize its proposed budget to send on to the county by April 11, then the County Board will pass its budget by the end of the month. The School Board will then adopt its final budget by May 9. The backers of a lawsuit seeking to preserve the name of Washington-Lee High School are working to keep their legal challenge alive, appealing the matter to a higher court after a judge previously struck down the suit on procedural grounds. Three current W-L students are hoping to block the Arlington School Board’s decision to strip Robert E. Lee’s name from the building, arguing that the Board didn’t follow its own stated policies for renaming the building and ignored the community’s opposition to the switch. The Board first kicked off a process to consider a name change in August 2017, in the wake of the white supremacist violence in Charlottesville and a nationwide reconsideration of the meaning of Confederate symbols. 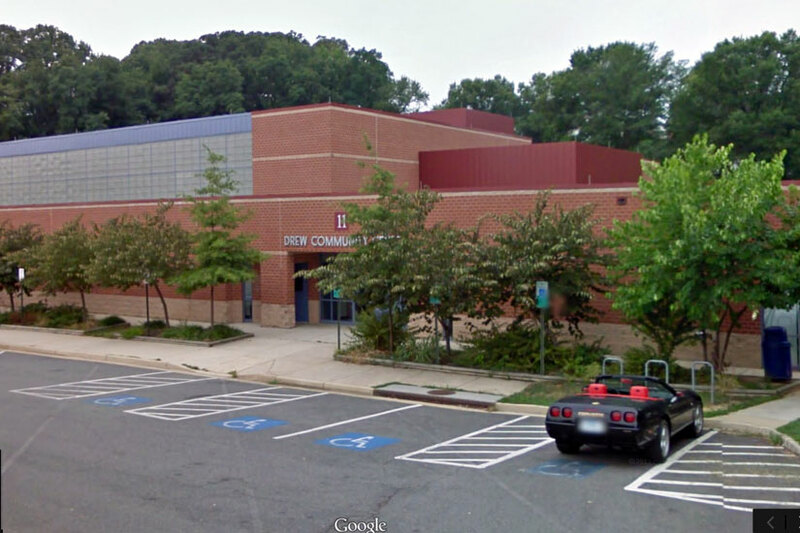 Arlington County Circuit Court Chief Judge William Newman ruled in December that the students were barking up the wrong tree, noting that the Board broadly followed the community engagement process it laid out for the name change, and that state law doesn’t even bind school officials to follow that process to the letter, in the first place. Moseley expects that the appeal will head to Virginia’s Court of Appeals, rather than the state’s Supreme Court, though he’s still waiting on judges to sort out the details. He filed his notice of appeal in circuit court on Jan. 30. Initially, Moseley had planned to simply amend his original complaint. Even though Newman struck down the students’ initial legal arguments, he gave Moseley until Jan. 9 to file revised arguments instead. Court documents show that he missed that deadline, asking instead for Newman to issue a written explanation for why he blocked Moseley’s previous efforts and more time to consider next steps. Similarly, Board attorney John Cafferky argued that Moseley “failed to articulate any legal authority” for a delay, urging Newman to toss out the case. The judge proved to be sympathetic to those arguments. He ruled against Moseley’s motion in a Jan. 25 hearing, reasoning that the students missed their chance to file any revised claims and that the court no longer has jurisdiction over the matter. That’s forced Moseley to appeal the dispute to a higher court instead, which could drag out the proceedings for months yet. He plans to have a brief ready supporting his appeal within the next 90 days, then the court will need to decide whether to take the case. In the meantime, the school system is moving ahead with putting the building’s new name in place. Officials hope to have everything from signage to sports uniforms changed to reflect the new “Washington-Liberty” name in time for the 2019-2020 school year to start up in September. Arlington students will still have Columbus Day off next year, after the School Board rejected a proposal to send students to class on the controversial holiday. Arlington Public Schools staff had proposed another option sending both students and staff to school on Columbus Day, putting the school system in line with the rest of the county government, which largely does not observe the holiday. Students would’ve had Oct. 7 off instead, and staff would use the day for training. That option did attract some support from APS employees and students — 69 percent of staff approved of that calendar, according to an APS survey, while 76 percent of students said they liked it as well. 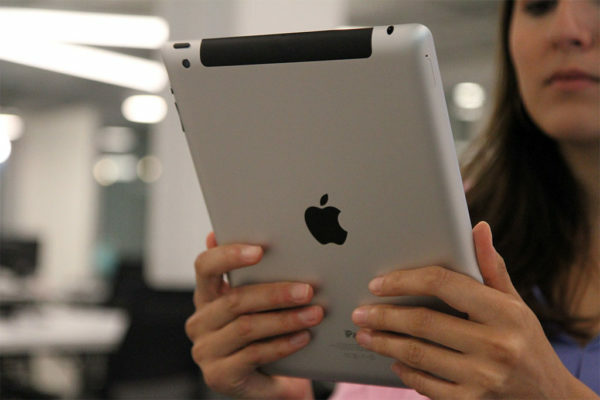 Just 22 percent of staff and 14 percent of students said they supported the first option, though parents liked it a bit more. The status quo calendar earned support from 55 percent of parents, while the Columbus Day change garnered just 33 percent. But Superintendent Patrick Murphy backed the calendar option maintaining Columbus Day as a student holiday instead, arguing that it provided fewer interruptions in the instructional calendar. It also better matches the calendar of other surrounding school systems, a key concern for APS employees who have children and live outside Arlington. “This option is really similar to what we did this year, and most people felt like this worked, for the most part,” Erin Wales-Smith, interim assistant superintendent for human resources, told the Board at its Jan. 24 meeting. Board members were initially skeptical of supporting a calendar that was so opposed by staff and students. But, in discussing the matter with staff, some members pointed out the second calendar, with Columbus Day no longer a holiday, appeared to show students and staff with more time off than the first calendar option did. That difference could’ve accounted for some of the survey results, Board Vice Chair Tannia Talento reasoned. Staff ironed out that discrepancy in presenting the calendar options for the second time — now, students are set to see 30 days off next school year, as opposed to 29 under the rejected alternate plan. Notably, the new school calendar also maintains Election Day as a day off for students, with staff doing off-site grade preparation. The school system had a similar schedule in place last year, but the issue took on new urgency now that state lawmakers are advancing a bill to require all public schools to treat the first Tuesday in November as a holiday. 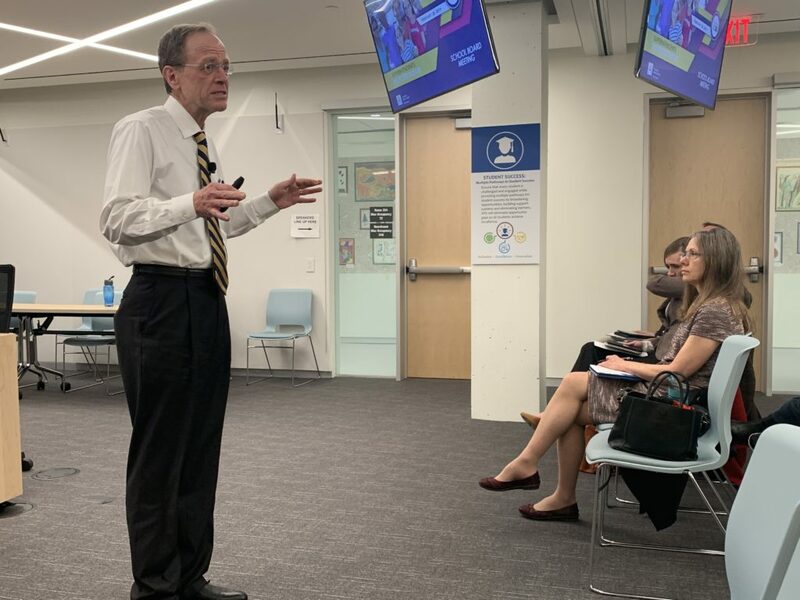 New school enrollment projections have reignited the long-dormant debate over the wisdom of building a fourth comprehensive high school in Arlington, as officials plot out the best strategy to educate a student population that won’t stop growing. 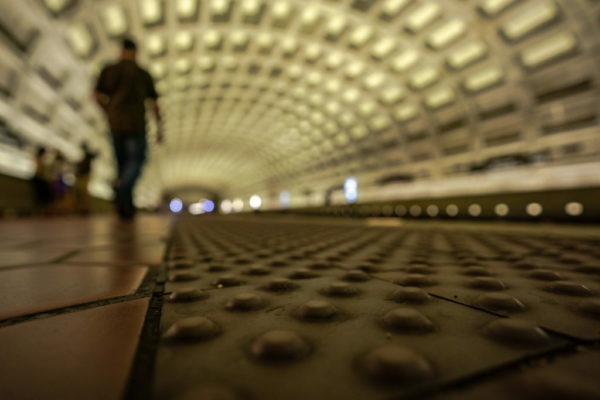 The issue reemerged in earnest late last month, when Arlington Public Schools planners unveiled some startling new data that could upend the School Board’s long-term construction plans. It was not exactly breaking news when planners revealed that the school system’s enrollment is projected to grow by about 24 percent over the next 10 years. APS has added an average of 800 students annually for the last five years, after all. But school leaders were a bit surprised to see that growth continuing apace, after initially expecting the number of students flowing into the county start falling through 2028, not rising. Even more notably, the new projections show about 2,778 additional elementary schoolers set to enroll in Arlington schools over the next 10 years, about 1,000 more than school planners projected just a year ago. Considering how young those students are, that number could demand a major reexamination of the school system’s plans to add new high school seats. The Board decided back in 2017 to build room for 1,300 high schoolers split between the Arlington Education Center and the Arlington Career Center, avoiding the expensive and difficult task of finding space for a fourth comprehensive high school in the county. But these new projections have some Board members wondering if that will be enough to meet these enrollment pressures. 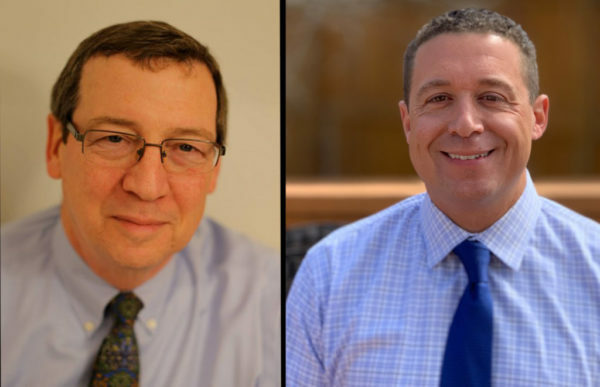 New County Board member Matt de Ferranti also raised some eyebrows by suggesting in his introductory remarks on Jan. 2 that the county should fund a new high school, but not all of Arlington’s elected leaders are similarly convinced. Superintendent Patrick Murphy urged the Board to “take a breath, look at this one year, and see if these patterns begin to play themselves out over a long period of time,” and some members agreed with a more cautious approach to the new projections. 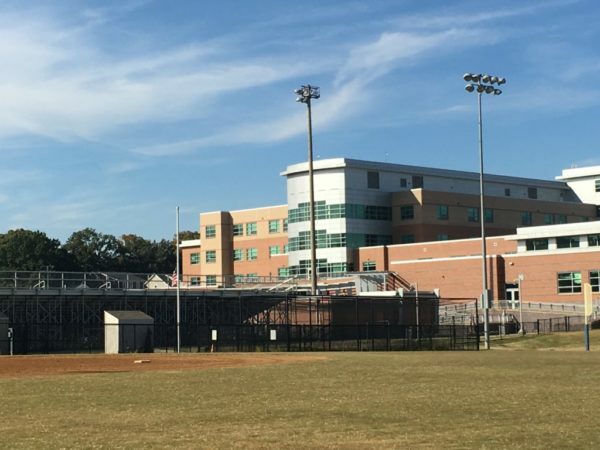 But, for some parents who have long demanded a new comprehensive high school in the county — joining Wakefield, Yorktown and the newly renamed Washington-Liberty — the new projections only underscore the urgency of what they’ve been asking for this whole time. 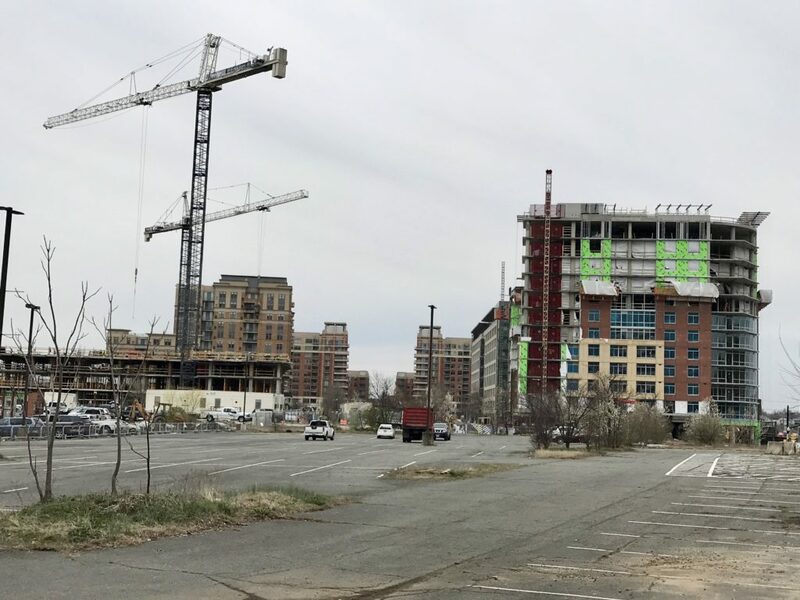 “I think the data have been suggestive for quite some time that Arlington will need a fourth high school, and it seems to make the most economic sense to do that project all at once and not in pieces,” Christine Brittle, a market researcher and APS parent who has long been active on school issues, told ARLnow via email. But Brittle did add that it was “surprising” that Kanninen sees a need for a new high school even after the Career Center project is finished. It remains an open question just how the Career Center will look once the school system can add 1,050 new seats there, work that is currently set to wrap up by 2025 or so. As part of deliberations over its latest 10-year construction plan last year, the Board agreed to build some of the same amenities at Arlington’s other schools at the Career Center. But the county’s financial challenges meant that the Board couldn’t find the cash to build all of the features to make the Career Center entirely equivalent to a comprehensive high school, and a working group convened to study the issue urged the Board to open it as an “option school” instead of requiring students in the area to attend a school without the same amenities as others elsewhere around the county. Accordingly, Brittle would rather see the Board simply expand its plans for the site instead of setting out to build a whole new school. Such a switch would come with its own complications — as the school system’s Montessori program leaves Drew Model School, it’s currently set to move into the old Patrick Henry Elementary, which sits next to the Career Center. Any move to transform the site would likely require finding a different home for the Montessori students instead, at least in the long term. “It would be far cheaper to find some additional, offsite-but-nearby field space, add a pool to the already robust Career Center plans, and find another building to repurpose for elementary Montessori, rather than building a large choice high school, which they may or may not fill, and then having to turn around and build a fourth comprehensive high school elsewhere (with money Arlington does not have),” Megan Haydasz, an APS parent who’s advocated for more amenities at the Career Center, told ARLnow via email. “But I could be wrong,” she wrote in an email. Still, that sort of option may well be on the table. Some Board members saw a need for more high school seats, but they didn’t share the same conviction that a fourth comprehensive school is the only way to achieve that goal. 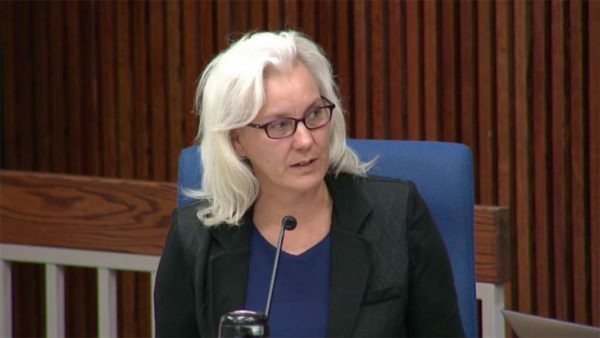 Yet part of what drove Kanninen’s conviction that APS needs both new seats at the Career Center and a new high school is her belief that the county’s 10-year enrollment projections don’t tell the whole story. Many of the new students planners expect to see in the coming years are young enough that they won’t be reaching high school by the time 2028 rolls around, convincing Kanninen that the data don’t paint a full picture of the school system’s in the distant future. 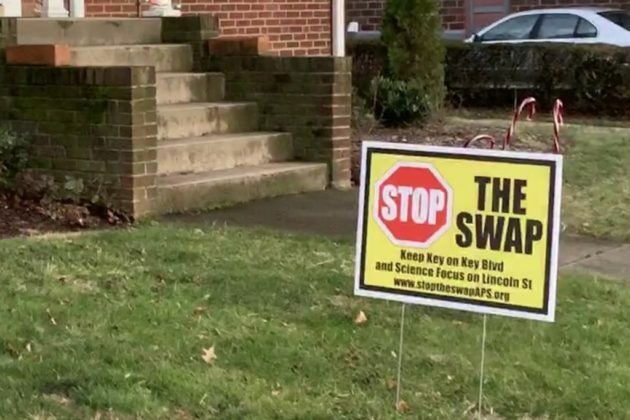 A yard sign protesting the proposed Key Immersion School-Arlington Science Focus School swap at a home near Clarendon. 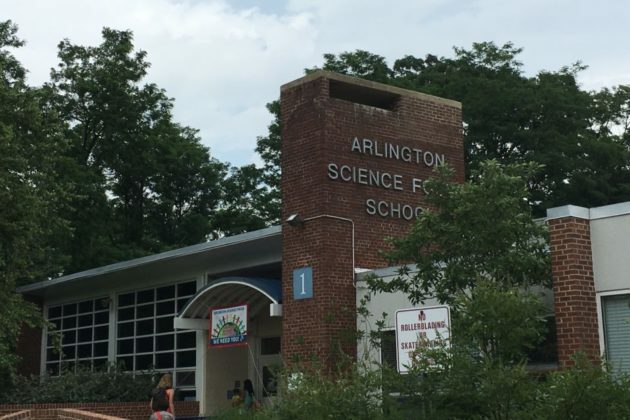 Arlington schools officials are pumping the brakes on a controversial plan to swap the Arlington Science Focus School and Key Immersion School buildings, after new projections revealed an unexpected increase in the county’s elementary school students in the coming years. 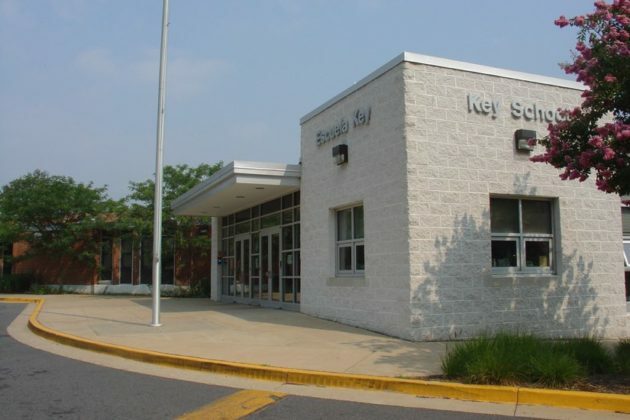 The school system had previously planned to move Key’s Spanish immersion program to the ASFS building, and vice versa, sometime in the next two years. The move was designed to solve some complex boundary issues in North Arlington neighborhoods, as some students currently zoned to attend ASFS actually live closer to Key. But the school system’s plans have attracted some fierce community pushback since Superintendent Patrick Murphy rolled them out in September, with parents criticizing the logistics of the move and Murphy’s decision to press ahead with the decision without putting the matter to the School Board for a vote. Yet Arlington Public Schools officials say the decision to “pause” the swap was driven instead by the newest data about school enrollment growth in the county, which staff presented to the Board last week. APS planners previously believed that the county’s student population growth was finally beginning to level off after years of large jumps, but they’re now expecting a 24 percent jump in the student population between now and 2028. Notably, elementary schoolers account for most of that change. Officials are forecasting a 21 percent increase in the elementary school population alone, which translates to about 2,778 more students over the next decade — that’s about 1,000 more kids than they expected the school system would add just a year ago. Both schools are currently overcapacity, and each one requires several trailers to educate those students. Some parents were already concerned that the swap would pose space problems even before these projection updates, as Key is both larger and currently holds more students than ASFS. A petition urging the Board to stop the swap has already garnered more than 800 signatures. But with this new information in hand, the school system says it plans to keep studying the issue, with the goal of maintaining the “50/50 student balance of native Spanish speakers with speakers of English” for the immersion program wherever it might land. School officials hope to deliver a recommendation on a path forward to the Board by December, in order to include any adjustments as part of the next round of elementary school boundary adjustments. That is set to impact 14 schools in all, coming on the heels of the Board’s boundary changes for eight South Arlington schools at the end of last year. More broadly, the new elementary school projections are igniting some big questions for the Board. Planners reassured school leaders at their meeting last Thursday (Jan. 24) that this sort of surprise jump in student population is “not unprecedented,” and largely driven by the relentless pace of development in the county. But it’s concerning nonetheless for Board members, who only just signed off on a biannual update of the school system’s construction plans for the next 10 years. The Drew Model School in Nauck will soon get a new name as the school undergoes a bit of a transformation — but one key part of the building’s moniker won’t be going anywhere. The elementary school is named after Charles Drew, a groundbreaking surgeon who grew up in Arlington. He was the first black man to hold a variety of prominent positions in the medical community, and is widely credited with establishing new storage techniques to set up lifesaving blood banks during World War II. Drew’s family home in the Penrose neighborhood won a designation as a National Historic Landmark in 1976, and both a park and community center in Nauck also bear his name. But the school named after the surgeon, who died in 1950, seemed set for a bit of a change after the School Board convened a committee to pick out a new name for the building earlier this month. The school system is shifting the county’s Montessori program out of the building next year, prompting the latest in a series of recent debates over a new school name. That will make the school a full “neighborhood” program, drawing students only from homes surrounding the school. The Montessori program will move to what was Patrick Henry Elementary, while many (but not all) Henry students will move to the new Alice West Fleet Elementary, in what became a contentious process that angered many parents. The notes show that some committee members questioned why the group was even convened if Drew’s name wouldn’t be changed, while others said they sought to join the committee specifically to advocate for the retention of the school’s name. But Murphy stressed that he did not believe the Board ever intended to see Drew’s name removed from the building, a point he reiterated at the Board’s meeting Thursday (Jan. 24) — the Board did not deliver a specific charge in kicking off the group’s work, unlike when it stipulated that a naming committee should not consider the prospect of retaining the original name of Washington-Lee High School. The committee also discussed the prospect of simply adding “of South Arlington” to the building’s current name, or perhaps adding a prominent artist’s name to the building alongside Drew’s. The group broadly agreed to focus on priorities like “adding instructional focus,” “adding a second name to Drew,” “adding a descriptive designation such as academy” and tacking on a “geographic component” in settling on a new name. Members now plan to survey the school’s community for their preferences as well. The committee is set to meet several more times between now and April, and the Board is planning a final vote on an updated name for Drew in May. The Board also agreed at its Jan. 24 meeting to spend $1.8 million in capital reserve funding to speed up renovation work at both Drew and Henry to “refresh” both buildings ahead of next fall’s changes.